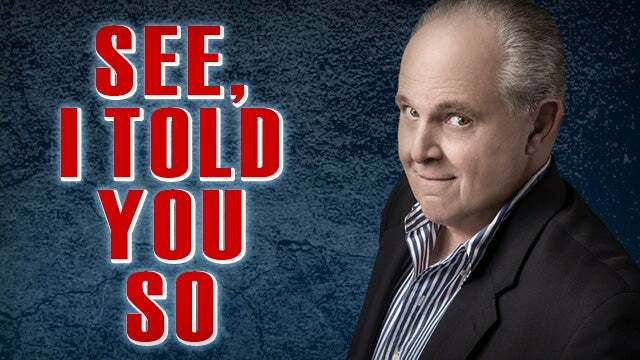 RUSH: Speaking of 2020, Iowa, of course, is very crucial, and a new Emerson poll released yesterday found that Joe Biden has 25% of Iowa Democrat support, Crazy Bernie at 24%, and Mayor Pete is at 11%! Mayor Pete is number three in Iowa! Can you grab for me audio sound bite number one? When you have it ready, I want to play it, because this is March 12th on this show. This is when my golf buddy guest had demanded that I spend two hours with him watching a CNN town hall from South by Southwest with two presidential candidates, Tulsi Gabbard and Mayor Pete from South Bend, Indiana. RUSH ARCHIVE: Keep a sharp eye out for Mayor Pete. Keep an eye on this guy. He is gonna make mincemeat of all the rest of these people. When his time comes to face these people in debate, if he gets that far, keep an eye on Mayor Pete of South Bend. It’s all I’m gonna say. This guy was articulate for what he believes. He was personable. He had an answer for everything. There was no, “And, y’know, I… Like, uhhhh,” and there was no radicalism. Some things that he believes about Trump are typically crazy, but keep an eye out for Mayor Pete. He’s 37. Keep an eye out for Mayor Pete. 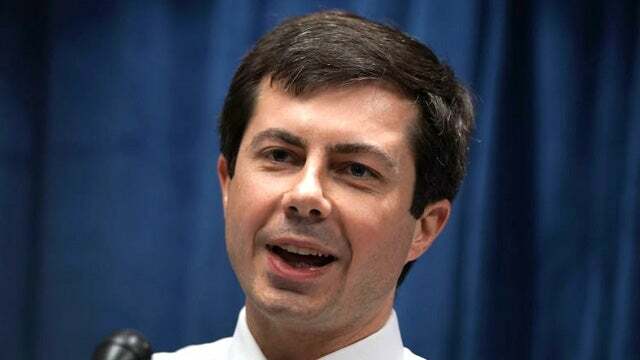 RUSH: And Mayor Pete has shown up third in Iowa. So what does this mean? Democrat primary voters are picking two very old white guys and a third white guy who’s 37 years old and is gay. That tells me that the Democrat voters in Iowa don’t like anybody else in this field. They don’t like Kamala Harris. They don’t like Tulsi Gabbard. They don’t like Cory Booker. They don’t like any of the Democrat perfect demographic candidates. They like the old white guys. Joe Bite Me and Crazy Bernie, Bite Me at 25%, Crazy Bernie at 24, and Mayor Pete from South Bend has 11%. Senator Kamala Harris, the only other candidate with double-digit support, has 10% among Iowa Democrats. Crazy Bernie leads among Iowa’s youth. Now, do you all remember — you may not remember this. Last time I was on Chris Wallace, Fox News Sunday — I think it was February 19th — it was a Sunday, it was around then. And he asked me who I happened to think was going to be the Democrat front-runner. So I answered Biden. Biden is the antithesis — he’s a known plagiarist — Neil Kinnock Jr. — he’s 77 years old. He’s got hair plugs. I mean, Biden is the antithesis of what the Democrat Party’s apparently trying to do in going young and demographic and LGBTQ and all of that. So I said Biden. And Chris Wallace was kind of surprised. I think nobody thought that Biden would be anywhere here because he’s so old and because he’s so white and because his nickname is Plugs and because he’s a known plagiarist. So that’s exactly why I said Biden, and here he is leading in Iowa. So this could have been a replay of Operation Chaos that I inadvertently began as a guest on Fox News Sunday.